Bill joined One Source Associates in May, 2015. Prior to that, he spent 20 years in electrical distribution with Rexel in several different sales and management roles, including his most recent position as Vice President of Rexel’s Mid-Atlantic Division. In this role, Bill had management responsibility for 50 branch locations in a six-state area. Bill began his career in the electrical industry working as an apprentice electrician in Cleveland, Ohio. 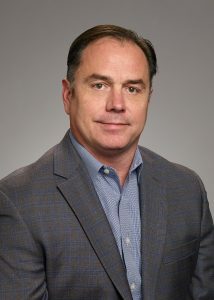 In his current role, Bill is responsible for the continued development of the Construction Division business plan, management and implementation of our principals’ sales plans, development and implementation of our electrical distributors’ marketing and sales plans, and coordination with the Projects Division to maximize our effectiveness. Bill’s distribution perspective proves particularly valuable to One Source, as we are a NEMRA representative working cooperatively with our distributor partners. In his short time with One Source, Bill has increased the Division’s sales and profitability, and added depth to the Construction team by hiring energetic, intelligent Associates. Bill is also a member of the Legrand Agency Council and NETCOM1, a representative best practice networking group.